This 19km (12 mile) circular horse riding route passes through Bratton Clovelly and runs beside Roadford Lake for a short stretch. It is possible to park at Southweek or at one of the other parking places for Roadford Lake. 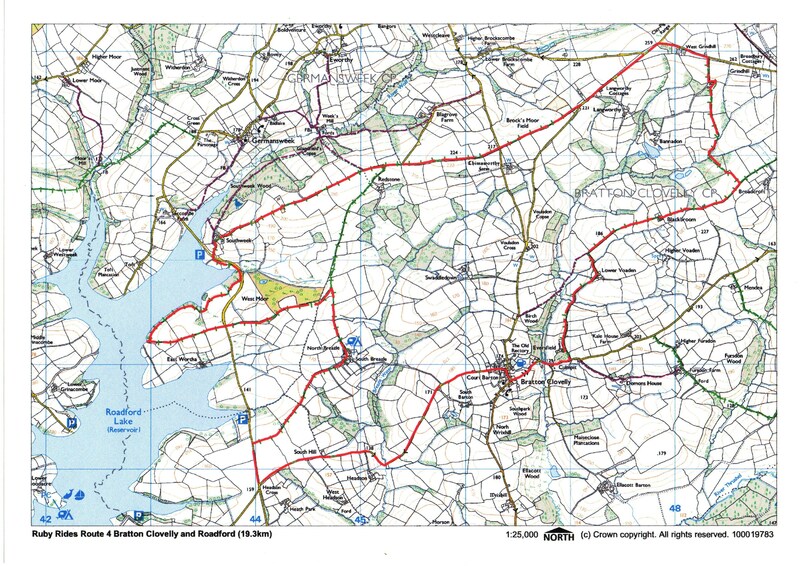 This entry was posted in Horse rides, horse riding, Routes and tagged Bratton Clovelly, Devon, horseriding, Ride the Ruby Country, Roadford Lake, routes, ruby country. Bookmark the permalink.